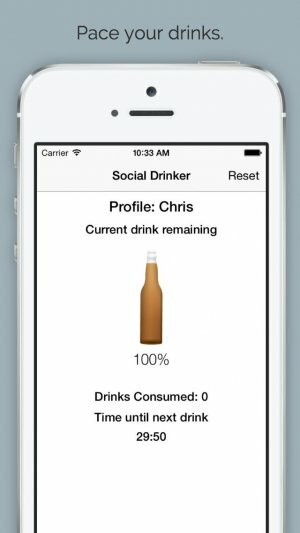 Social Drinker paces your drinking in real time so that you never end up drinking more than you planned. 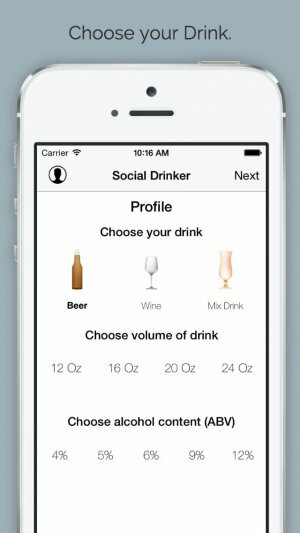 You set the limits and Social Drinker helps you stay in line with your goals. Try it today! 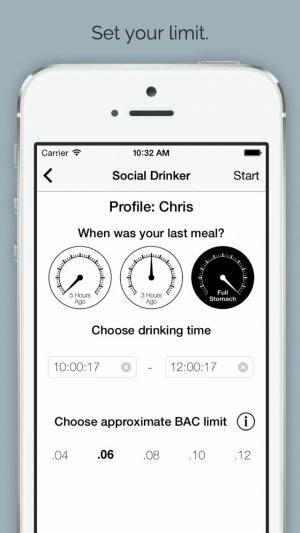 Social Drinker paces your drinking in real time so that you never end up drinking more than you planned. 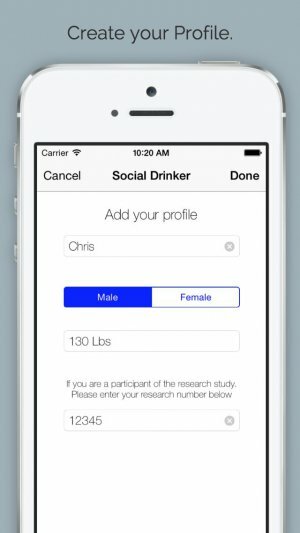 You will enter information (such as gender, weight, and drinking limits) and the app will use these values to calculate your drinking pace. Once you set your limits the app will tell you how long you should wait until having your next drink. It’s that easy!